The city of Tegucigalpa was even worse than Managua (even though we didn't think this was possible). It was grim, there were newspaper reports slapped on to walls about corrupt policemen, and even the hotel owner told us not to venture outside as it was too dangerous. Having only eaten 3 cereal bars all day, this was not music to our ears, but we decided that our safety was probably more important than our stomachs. We awoke early the next day, wanting to leave as soon as possible and get to La Ceiba, the small port town from where we would catch our boat to Utila. Of course, Adam's ex was also on that bus (I wouldn't have expected anything less), but we finally got to our desired destination of Utila, after an agonising few days. Utila was beautiful: a little Caribbean island edged with white sand and clear, warm water. 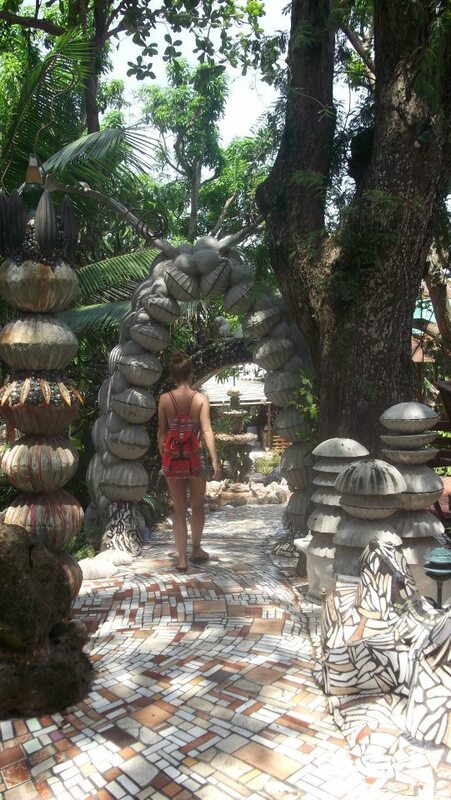 We stayed in a great little place called Jade Seahorse that was the reality of an American artist's imagination. 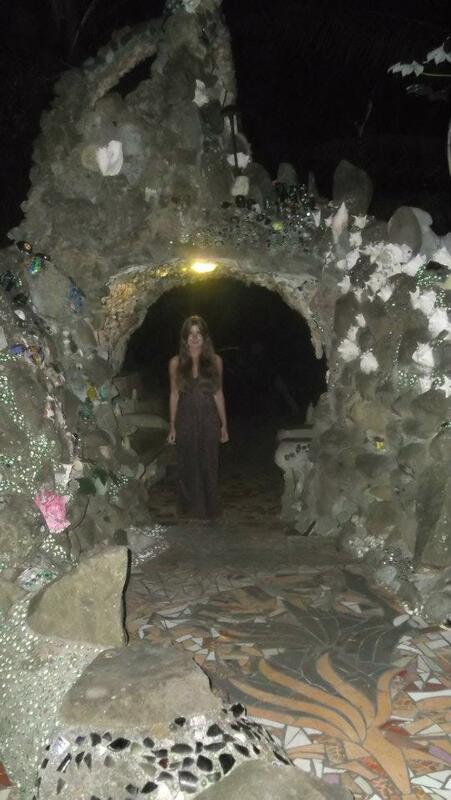 It was made up of themed cabins, and grounds that consisted of mosaics, tunnels, and colourful glass to make it look like an underwater wonderland. The owner himself was as crazy as his design, and had clearly taken far too many illegal substances in his lifetime. We didn't think it was possible, but the pace of life was even slower on the island, with the most strenuous thing that people seemed to do was play dominoes on the side of the street. I like to think that I'm a pretty chilled out person, but it was even testing my patience. Nonetheless, we had a great few days on the island, and managed to rid ourselves of the stress that we had been harbouring for the past few days, by lying on the quiet beaches in the blistering sun, and listening to the Caribbean English that I found harder to understand than the Spanish that makes up the rest of Latin America.